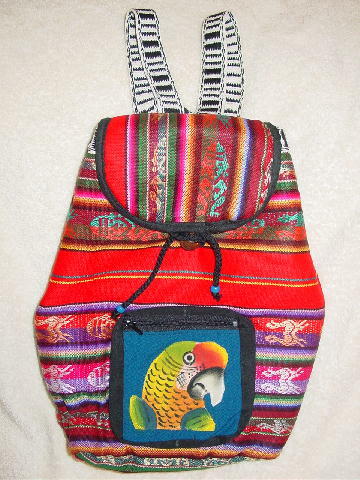 This Latin American-made mini fabric backpack/purse has a white and beige slightly padded lining and a black drawstring top closure with a dark blue bead at each end. The front has a lower zippered pocket. 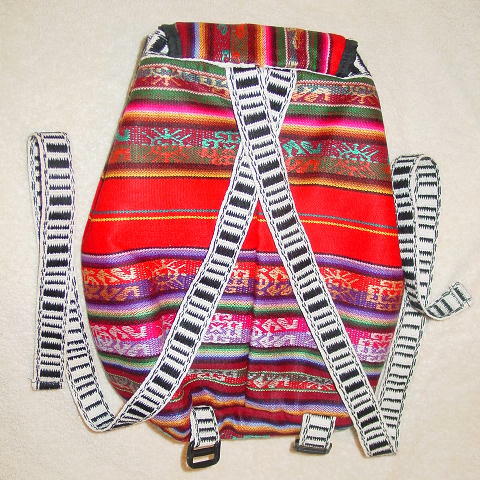 The back has two 32" long black and white adjustable straps. There are designs in red, turquoise, maize, and silver thread. It's in reds, greens, yellows, purple, blues, rust, and black.